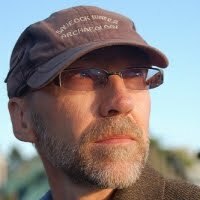 In an extensive (and highly intriguing) interview on Reddit, Steven Erikson reveals that the working titles for Books 2 and 3 of the Kharkanas Trilogy will be Fall of Light and Walk in Shadow. The first book, Forge of Darkness, will be released this August. 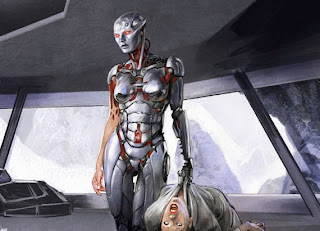 The pilot episode for the new Battlestar Galactica spin-off show, Blood and Chrome, has been completed. Composer Bear McCreary made the announcement yesterday, revealing he'd just completed the soundtrack for the episode. SyFy will apparently be announcing shortly plans for transmitting the pilot. Concept art for the pilot, released by SyFy. Set in the tenth year of the First Cylon War (or 44 years before BSG begins), Blood and Chrome will follow the young pilot William 'Husker' Adama (Luke Pasqualino) as he is assigned as a Raptor pilot aboard the battlestar Galactica. Apparently the series will follow his reassignment as a Viper pilot and the ongoing war against the Cylons. This will necessitate some re-jigging of continuity, as the Razor TV movie previously suggested that Adama only saw action on the very last day of the war. The new series was created and developed by David Eick and Michael Taylor, who both worked on BSG. BSG showrunner Ronald D. Moore has moved onto other projects and will not be involved on Blood and Chrome. HBO have - inadvertently - let slip the promotional art for Season 2 of Game of Thrones. This striking image informs us that war is, indeed, coming. 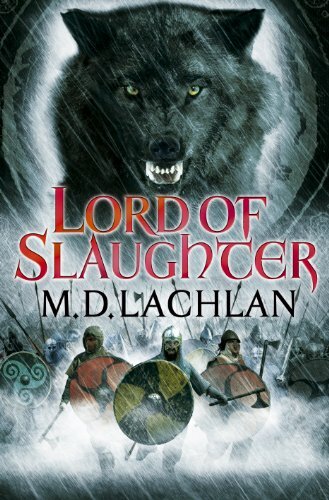 This image will also be used (apparently) on the HBO tie-in editions of A Clash of Kings, out next week in the USA and a few weeks later in the UK. An enigmatic website indicates that the veteren Baldur's Gate fantasy RPG series is set to make a comeback. Some digging by EuroGamer confirms that a new development company, Beamdog, is working on the project. What 'the project' might be remains unclear, with level-headed fans suggesting it may just be a high-definition re-release of the existing games to work better with modern-day computers rather than a full sequel (which, given the definitive way the original series ended, would be redundant anyway). More information is expected soon. 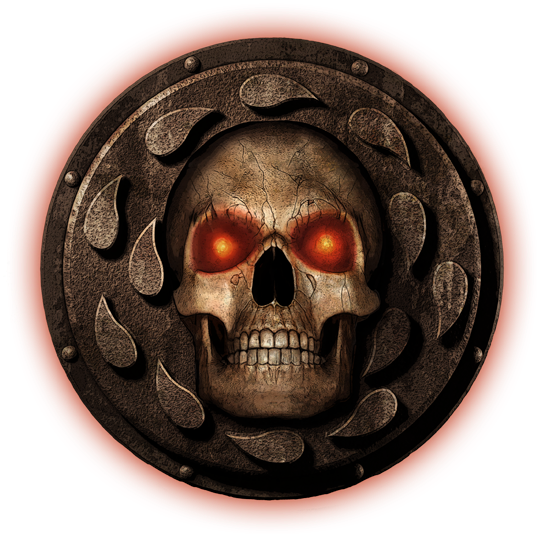 The original Baldur's Gate series was developed by BioWare and Black Isle (now Obsidian) and comprises Baldur's Gate (1998) and Baldur's Gate II: Shadows of Amn (2000), along with their respective expansions, Tales of the Sword Coast (1999) and Throne of Bhaal (2001). Set in the Forgotten Realms and using the D&D 2nd Edition rules, the games chart the player character's rise from an anonymous orphan to a hero (or villain) wielding godly powers. The critically-acclaimed series introduced features which have become staples in BioWare's games, such as fully-fleshed out side-characters, romances and full character customisation, not to mention being able to carry your character over between titles (most recently a selling-point of the Mass Effect series). BioWare's acquisition by Electronic Arts means they will likely have little to nothing to do with this new project, as the Baldur's Gate and D&D licences are currently held by Atari. Some of the personnel at Beamdog are ex-BioWare and worked on the original games. A new trailer has been released for the MMORPG based on Tad Williams's Otherland novels. You may wish to mute it if you don't want to be subjected to a particularly poor wubstep soundtrack (which hopefully is just on the trailer, not the whole game). Looks interesting. More interesting is the fact that the game will actually be free to play, and should be available before the end of 2012. 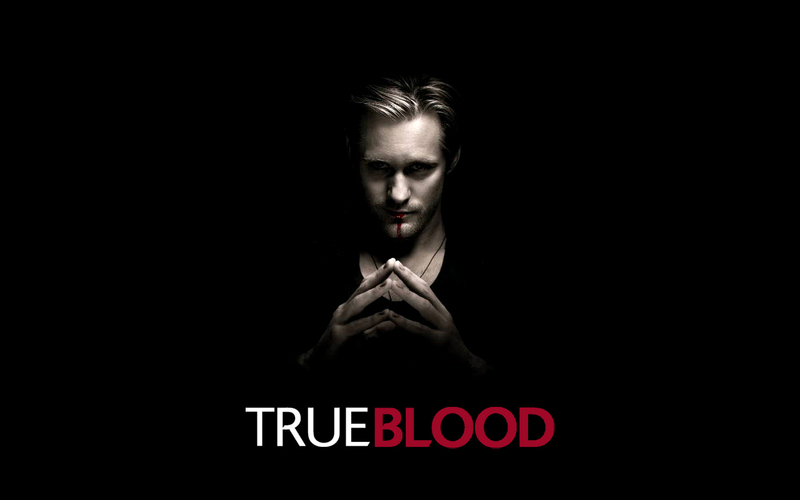 Alan Ball, the creator and showrunner of HBO's True Blood, is stepping down from his position. He will take a back-seat role on the vampire drama as it continues into its sixth season. According to HBO he will have a 'supervisory' role on the show going forward, but will also be developing new projects for the company. Ball's first post-True Blood role will be as an executive producer on Cinemax's upcoming original series, Banshee (which will not feature any supernatural elements). Cinemax is owned by HBO and is developing an original programming schedule with HBO's advice and input. Ball is also developing an original series for HBO focusing on the life of an abortion doctor, likely to be controversial. This is an interesting move, the first time (to my knowledge) that HBO has elected to continue a TV show after its original creator/showrunner has stepped down. Previously the departure of a showrunner has led to the cancellation of the series. However, with True Blood being based (increasingly loosely) on a series of books which provide a future direction for the series for several seasons to come, Ball's involvement is less crucial than it would be for a purely original series. This is also an interesting precedent. With HBO committing to Game of Thrones for as long as the showrunners want to make it, there was fear that at some point David Benioff and D.B. Weiss might want to return to writing movie scripts (a potentially far more lucrative enterprise) and that would spell the end of the show. 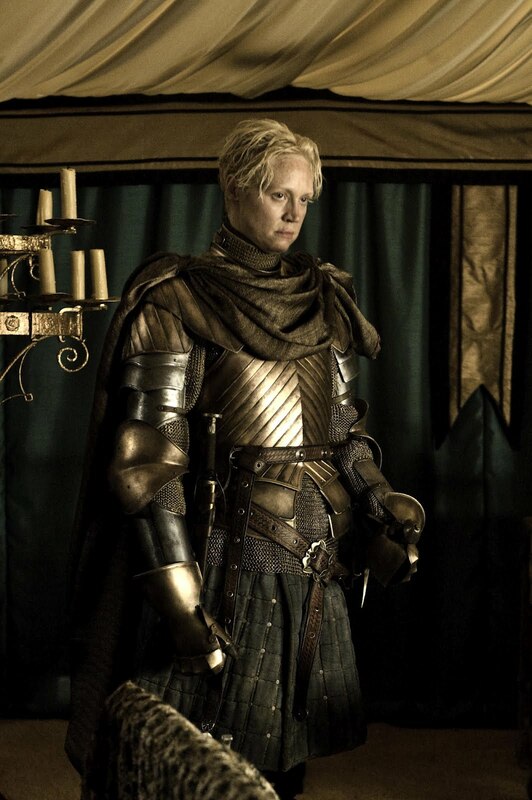 With this move, HBO indicates that this would not necessarily be the case. Under the Dome (*) is a remarkably weak novel, almost pornographic in its lingering descriptions of murders, violence and sexual assault and feeble in its attempts to give a decent sense of resolution. Here and there King's old form is visible through the reasonable pacing and at least one brief scene between a prisoner in the Dome and a soldier watching helplessly from outside that shows how badly the premise has been squandered. But overall, a colossal letdown from one of the biggest names in the business. A while back it was announced that Michael Whelan would be producing the cover art for the ebook edition of the final Wheel of Time novel, A Memory of Light. Following that, it was sadly announced that Darrell K. Sweet, who'd produced the artwork for the thirteen print editions of the novels (plus the New Spring prequel, the YA editions of the books and the roleplaying game and adventure book), had passed away with the cover art for the final book left incomplete. Logically, Tor have announced that Whelan's ebook artwork will now also grace the cover of the American print editions of the final novel (the British edition will likely continue to use the Wheel of Time logo against a coloured background, as with the previous few books in the series). "I’m flattered to no end to have been asked to work on such a prestigious and popular project. My only regret is that it had to come under such unfortunate circumstances; I never would have accepted had Darrell been here to see the Wheel of Time saga to it’s completion. It will always remain a testament to his career, and I’m humbled to stand in his shadow for the work on the final volume." A Memory of Light will be released in the UK and USA on 8 January 2013. New York City, 2023. Three years ago, evidence of alien life was discovered on the island of Linshan, claimed by North Korea. An ancient civilisation, the Ceph, had seeded bio-organice spacecraft known as 'spheres' under various points of the Earth's crust. American marines and special forces, spearheaded by soldiers wearing experimental 'nanosuits', engaged the Ceph and ultimately defeated them. However, a second sphere has now been activated under New York City. To clear the city the Ceph have released a deadly virus as a prelude to an all-out attack. 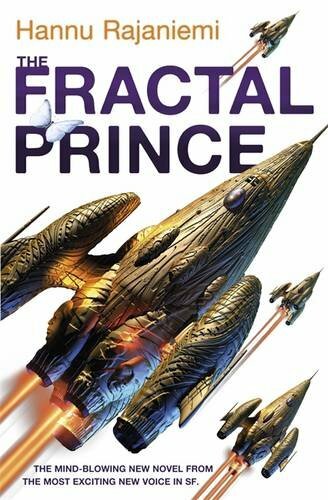 As American military forces try to clear the city of millions of civilians, it falls to a marine to take up the nanosuit and engage not only the Ceph, but the corporation which created the nanosuit and now wants it back, by any means necessary. 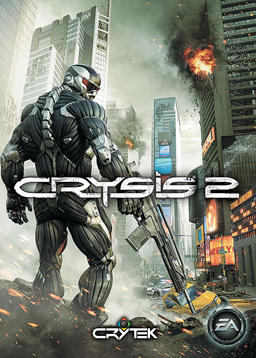 Crysis 2 is CryTek's fourth game, following on from their brilliant 2004 debut Far Cry and the first two games in the Crysis franchise, Crysis and Crysis: Warhead. CryTek have two principal goals with their first-person shooters. The first is to deliver the most technically and graphically stunning games in the world, which they have ably achieved. The second is to create FPS games which break out of corridors and linear passages and try to give some freedom back to the player, allowing them to approach firefights and battles in a manner of their preference, or to even avoid them by using stealth. Crysis 2 continues this tradition as well, although in a much-less accomplished manner than its forebears. The game opens with you on a submarine approaching New York. The sub is predictably destroyed by the aliens, but you are rescued by Prophet (a side-character in the original Crysis; the protagonists from the first two games do not appear in this one) and given his nanosuit to take the fight to the enemy. You are also engaged in battling the creators of the nanosuit, who send soldiers after you to try to recover it. Initially you are on your own, hounded by aliens and human soldiers alike, until you rescue a scientist (a walking exposition tool with no other characteristics) and learn more about what's going on. Then the US Marines arrive in full force and you team up with them to carry on the fight (sometimes in squad deployments with fellow troops, more often not). The storyline features much wibbling about nanotechnology and lots of grunting from manly soldiers (one of whom is a token female) about getting things done and leaving no man behind and so forth. To be honest, the storyline and writing are both forgettably generic, surprising as two of the better SF authors around at the moment (Peter Watts and Richard Morgan) worked on it. Like its forebears, Crysis 2 presents the player with a mission objective and leaves you to decide how to accomplish it. The usual options are a head-on confrontation, a flanking maneuver, a sniping option or stealth. Rather disturbingly, the game assumes that you are too thick to figure this out on your own and walks you through these options each time you enter a combat area (though you can simply ignore this by not using the nanosuit's visor), but nevertheless the choice is good. Your nanosuit has several abilities which can help with these choices. It has an armour mode which renders you resistant (but not totally immune) to enemy firepower and a cloaking device which makes you invisible. Both abilities consume suit power (as does running and doing large jumps), and managing your power adds a fresh tactical perspective to the game. The game employs the tiresome twin gimmicks of modern FPS games, namely cover and regenerating health. At least the nanosuit provides a reasonable in-game explanation for the regenerating health this time around, but the cover system means, once again, discovering areas and levels littered with convenient waist-high boxes and barriers everywhere which just looks silly. Fortunately, the cover system is optional (and you have to press a button to activate it, so you don't stick to walls automatically) and can be safely ignored by players who actually want to fight, rather than cowering behind walls. In fact, the nanosuit's armour option allows you to engage aggressively in combat and strikes a good balance between empowering the player and making them too invulnerable. Weapon choices are fairly standard - shotguns, pistols, rocket launchers, machine guns - but do the job. They're chunky and satisfying to use, though rather greedy on the ammo. Luckily the game is absolutely littered with ammo dumps, so that's not a problem. The game also has melee options, including a formidable ability to pick up an enemy soldier (human or alien) and throw them a colossal distance. Whilst a bit overpowered, this does use up all your energy and takes a few seconds each time, so can't be used rapidly to clear a tight cluster of enemies. Combat is excellent, which is handy as it makes up 90% of the game, though enemy AI occasionally falters at long range (sniping becomes less of an option as the game proceeds, probably because of early sections where you can kill dozens of enemies with no-one around them batting an eyelid). The tactical freedom to handle combat as you see fit, and the combat itself being great, are two important things that prop up the game. The third are the visuals. At launch Crysis 2 was, somewhat bizarrely, less impressive than the original Crysis. This was because serious compromises had to be made to fit the game onto consoles. Happily, CryTek released a later patch which added high-resolution textures and a DirectX 11 mode on PC, which transforms the game into something from another world. Graphically, Crysis 2 is the single most jaw-dropping game on the planet (supplanting its forebear, which must drop to second place). Aside from CDProjekt's visually stunning Witcher 2, nothing else comes close to it. It's a quantum leap forwards and shows what we can expect from the next generation of games. The atmospheric depiction of a shattered New York City (borrowing more than a few visual motifs from Escape from New York and Cloverfield) is another triumph, helped by some excellent music. So, the game has great combat and stunning graphics. Where Crysis 2 runs into problems is with story. As I said before, the story is a somewhat generic piece of fluff about fighting off an alien invasion. The characters are walking fonts of exposition with no real sense of personality and no interesting or memorable dialogue. You fight, and have a good time fighting, but don't really care about the stakes or the other characters involved. The generic nature of the plot shouldn't be a problem, as it's basically an excuse to rationalise the huge explosions. What makes it offensive is that the game loves to rip control away from your hands every half hour or so for a tedious cut scene, a 'surprise' cliffhanging event (usually an explosion, fall or tidal wave ending with you being unconscious for a few moments) or, rage-inducingly, a Quick Time Event. Quick Time Events - in which normal game controls are suspended and you have to follow on-screen controls for a few minutes like a simpleton for absolutely no discernible reason - are the laziest of devices to use to make the player feel involved in the game, and frankly cost the game half a star by itself (luckily there's only a few of them in the whole game, otherwise it would have been more). Crysis 2 (***½) laudably follows in its predecessors' footsteps by giving the player more freedom in how to play than most shooters. Unfortunately, its sense of freedom is considerably watered-down from its forebears (and Crysis was already substantially more linear than Far Cry) and then totally undone by its dependence on industry-standard but unnecessary fluff like cut scenes and Quick Time Events. If you can overlook these issues - and they are relatively restrained - then the impressive combat, mouth-watering graphics and the tactical options presented by the nanosuit combine to make it one of the better contemporary first-person shooters. The game is available now in the UK (PC, PlayStation 3, X-Box 360) and USA (PC, PlayStation 3, X-Box 360). 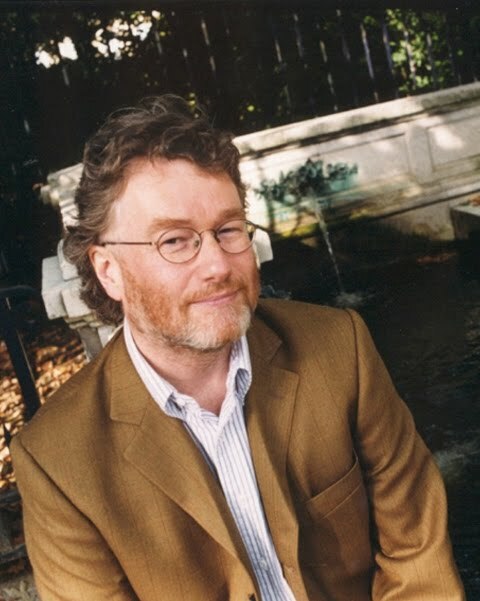 Iain M. Banks is returning to The Culture setting in his new novel, The Hydrogen Sonata. It will be published on 4 October this year in the UK by Orbit Books. 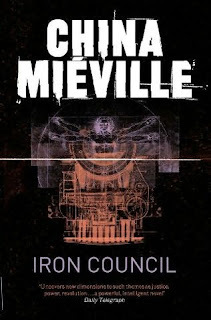 But other than that, Iron Council (****½) is a successful, imaginative and gripping fantasy novel, richly-characterised and fuelled by one of the strongest imaginations working in the field today. The novel is available now in the UK and USA. England, 1215. Facing rebellion and insurrection, King John signs a formal document outlining the limits of his royal power, the Magna Carta. Within months he has repudiated the document and brought in an army of Danish mercenaries to isolate and destroy the nobles who forced him to sign it, one-by-one. Thomas Marshall, a Knight Templar, and Baron d'Aubigny vow to oppose the invasion and take control of Rochester Castle, the gateway out of southern England. John must take the castle or risk his lines of supply being cut off behind him. So begins a furious siege, with twenty defenders holding out against an attacking army of a thousand with little hope of relief. Ironclad is a medieval war film, depicting King John's Siege of Rochester in 1215 during the First Barons' War. This siege was notable as John personally commanded the siege and prosecuted the siege with unusual vigour. Unable to simply wait the garrison out, he undertook to take the castle by storm. He employed a full battery of medieval tactics to take the castle, including scaling ladders, siege engines, mines and even burning pigs (used to help breach the keep from underneath). It was a brutal, ugly siege which Ironclad depicts reasonably convincingly. The film stars the ever-reliable James Purefoy (notable for his stunning turn as the verbose and debauched Mark Antony from the HBO series Rome), cast against type as the quiet, intense and conflicted Marshall, very loosely based on a real historical figure of the same name. 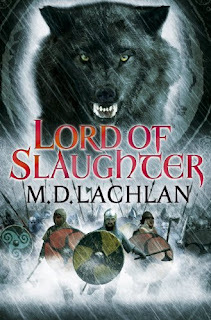 Marshall is a Knight Templar who no longer feels he is worthy to be a member of the order, and is tortured by his feelings for women and his inability to keep his vow of silence. He pretty much spends the whole film exchanging scenes of angst with scenes of slaughtering hordes of attacking conscripts (and occasional Danish mercenaries). This structure risks cheese - and a distinct aroma of Stilton starts to rise during the painfully cliched will they-won't they romantic scenes with the lord's sexually-frustrated wife, Lady Isabel (played with enthusiasm but little subtlety by Kate Mara) - but Purefoy's notable screen presence just about manages to keep things ticking along. The rest of the cast is surprisingly distinguished. Brian Cox is in his element as the old warhorse assembling a team of scoundrels and criminals to defend the castle, whilst Derek Jacobi plays the lord of Rochester Castle who is upset by his peaceful fortress being turned into a warzone. 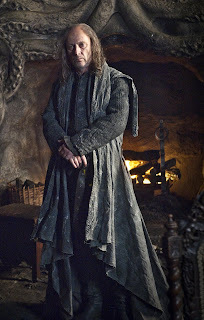 Charles Dance has a sterling turn as Archbishop Langdon, whilst Jason Flemyng gives a solid performance as Becket, the most dubious of the castle defenders. Outshining everyone else, however, is Paul Giamatti who gives a passionate performance as King John. The utter rage John feels at having been forced to limit the powers of the throne (the beginning of a movement which will ultimately lead to the English Civil War, four and a half centuries later) is palpable, and his increasing desperation to burn all trace of Magna Carta to ashes before he is militarily defeated is well-played. From a production standpoint, the film has to face the challenge of depicting a fairly brutal and savage siege on a relatively limited budget. Director Jonathan English makes the most of his resources, however, creating a superb set for the siege itself. It can be seen where costs were cut during the battle sequences (most notably the use of slightly fake-looking CGI for the flaming siege weapons), but overall the film manages to sell the illusion it is trying to create. From the viewpoint of historical accuracy, the film takes a fair number of liberties. 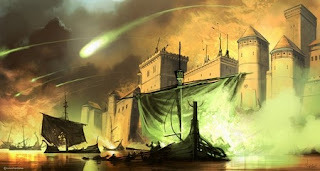 The number of defenders of the castle was much higher in reality (between 100 and 150) and, although John did succeed in reducing the castle to a ruin, he ultimately failed to take the castle by assault and had to starve the last defenders out. He also didn't massacre the surviving garrison, having been persuaded that to do so would risk reprisals if he was captured in the battles to come. 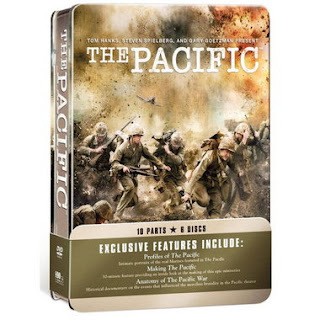 Most notably, the film depicts the defenders holding out hopes for an imminent French intervention, where in reality the French did not dispatch troops until many months later. Arguably the real events could have been used to tell a more interesting and dramatic cinematic story, but the budget and time restrictions of the movie did not allow this. 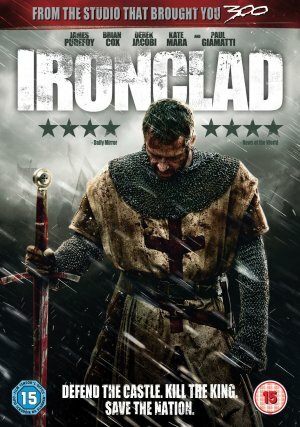 Ironclad (***) is therefore a movie which has a lot of problems. The romance is shoehorned unconvincingly into the narrative and Kate Mara's character is given little to do outside of it. The film also takes more liberties with historical accuracy than some may feel comfortable with. Against that most of the performances are extremely strong (Giamatti in particular) and the battle sequences are well-staged. Ultimately it entertains, if you can overcome the urge to wince at its failings. 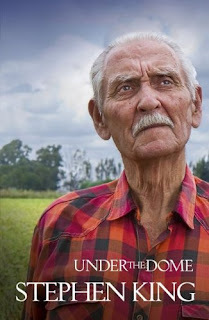 The movie is available now in the UK (DVD, Blu-Ray) and USA (DVD, Blu-Ray). Ah, the humble episode guide. Once a solid mainstay of bookshop TV sections all over the world, now hunted to the brink of extinction by the internet. Publishers have had to rethink how their handle TV tie-in books now. A recap of each episode and a cast list doesn't cut it any more, and these books now require more interesting and original content if they are to be successful. Truth Be Told attempts to be a guide to The Wire that falls into the latter bracket and is somewhat successful. The book rises above the episode guide norm by being written by an actual writer from the TV series (he wrote three episodes for the show) and featuring interviews with the production staff behind the show, as well as some of the actors. There are essays about elements of the show ranging from its realism, its reception by Maryland politicians and a feminist analysis of the series. 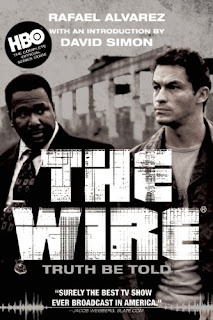 The Wire's creator and showrunner, David Simon, provides an introduction and there is a long interview between him and author Nick Hornby about the inspiration behind the series. The standard episode guide format can still be found in this book, with brief (and, it has to be said, rather un-detailed, missing elements such as the blink-and-you-miss-it outing of Rawls in Season 3) recaps of each episode and cast and crew listings. Frustratingly, there isn't a 'behind-the-scenes' section for each individual episode, meaning that as a guide to a TV series it falls way behind the quality of Terry J. Erdmann's Deep Space Nine Companion (still the gold standard for TV companion books). Much more interesting are the overviews for each seasons, when Simon and other writers and producers give their thoughts on what they were trying to achieve each year, the side-essays and a number of character profiles. 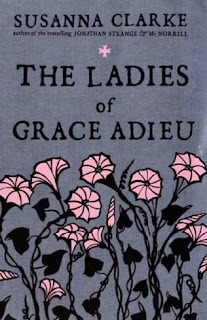 These range from the predictable to the insightful, and the feminism essay needs a special mention for the way the writer tries to square the show's limited use of female characters (which could be regarded as problematic) against the real sexism inherent in the institutions the show is depicting (i.e. 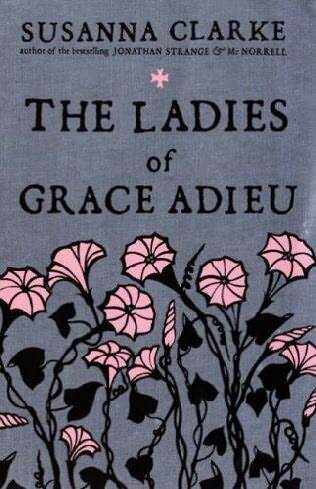 can you depict real institutions which notably underrepresent women without becoming part of the same problem?). Ultimately, Truth Be Told (***½) is more than the standard TV episode guide fluff, but ultimately it feels like it has the right idea but doesn't go far enough. Profiles for all of the major characters rather than a handful would have been a start, perhaps with more attention to detail and more in-depth coverage of each individual episode. As it stands, it's a solid companion piece to the TV series, but not an essential one. The book is available now in the UK and USA. 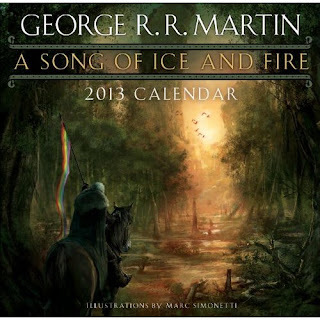 Random House/Bantam have recently added a book called Maps of Ice and Fire to their release schedule. 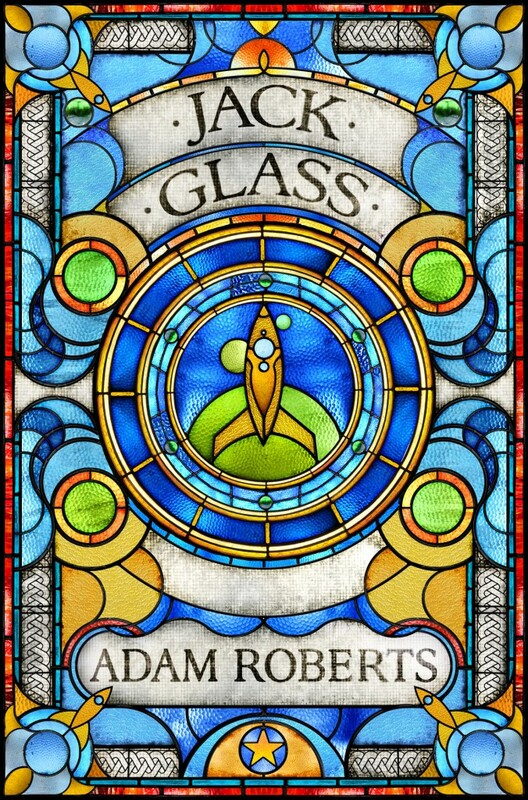 The book has a release date of 30 October 2012 and a retail price of $40. 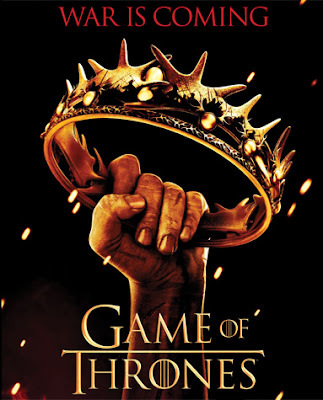 Meanwhile, HBO's online schedule has reached 1 April 2012 and has confirmed that the first episode of Season 2 of Game of Thrones will be called The North Remembers. Going through some old interviews, I was surprised to read that Brandon Sanderson is planning a 36-volume fantasy series. The good news is that, if you've read all of his adult solo fantasy novels to date, you're already six books into it. And 'series' is probably the wrong word, a more accurate term would be 'setting'. It's been an open secret for a while that Sanderson's fantasy novels share a common background setting and mythology, the 'Cosmere'. 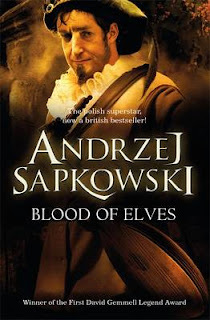 In his first five novels - Elantris, Warbreaker and the Mistborn trilogy - this took the form of a couple of easter eggs. Most notably, a character called Hoid plays a minor, background role in all five books, apparently observing events with interest. In The Way of Kings this background suddenly became more important to the plot: Hoid (aka 'Wit') now has a brief POV section and plays a larger role in events. We also meet three other people who can travel between the worlds, two of whom we've met before (one in Elantris and one in Mistborn), who are apparently trying to track Hoid down. 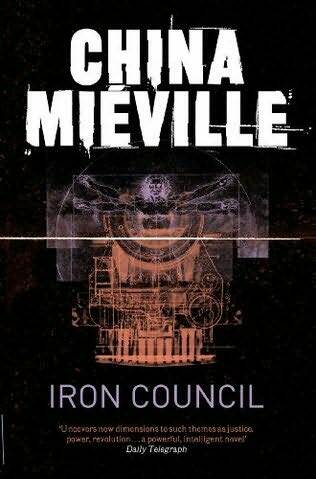 Hoid sends a letter to the organisation that sent them (an organisation called the 'Seventeenth Shard') expressing irritation with this move, a letter that appears throughout the second part of the novel. 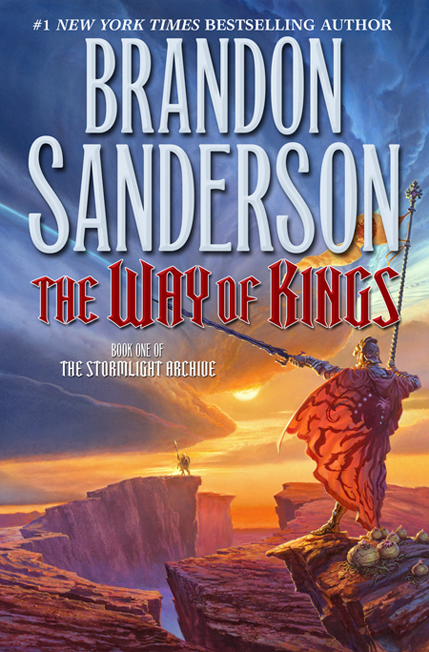 Ultimately, it is clear that the ten-volume Stormlight Archive series will expand on the Cosmere and the linked setting of Sanderson's fiction. 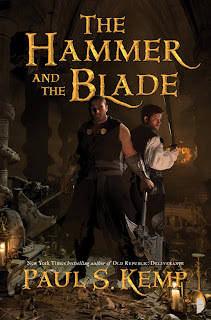 Note that The Alloy of Law, which was written as an unplanned side-project, is part of the Cosmere universe (Hoid has a cameo in the book as a beggar at a wedding and also apparently writes the appendix, at one stage comparing the Mistborn world's magic with that of Sel, the Elantris planet) but is not part of the planned 36 volumes in the series (nor are its planned sequels). 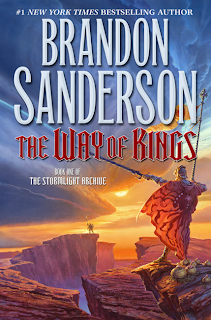 Sanderson plans to write Stormlight #2 (current working title: The Book of Endless Pages) this year for release in mid-to-late 2013, and then the third through fifth books of the series. He will take breaks to release additional Mistborn side-novels featuring Wax and Wayne. 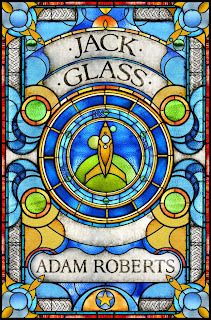 He also hopes to release Elantris II in 2015, on the tenth anniversary of the publication of Elantris (his first novel). 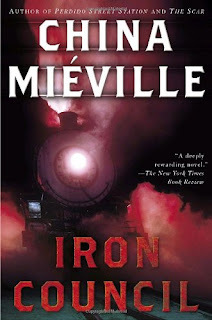 Then he will release the Mistborn II trilogy (the one set in a world with modern technology). Stormlight #6-10 will follow, possibly with Warbreaker II and other books interspersed between them (presumably there will be no more Wax and Wayne books once Mistborn II has been released), then Mistborn III (the one set in space with magic-fuelled FTL travel). Only after that will we see Dragonsteel. Which assuming Brandon keeps up a book a year, means we'll hit that series somewhere around 2027! That accounts for 28 further books in the setting. Combined with the six already published, that's 34 books with two left unaccounted so far (recalling that Alloy of Law and its forthcoming sequels are not part of the count, being new inventions). 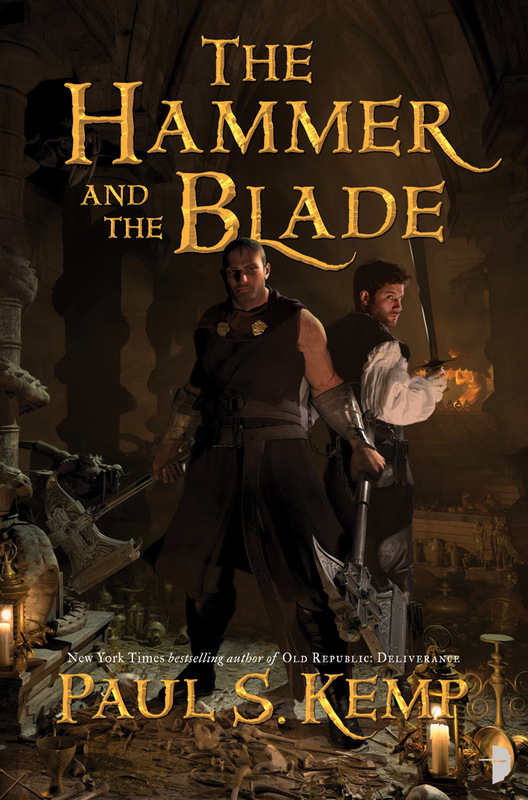 There may be a further Elantris sequel, and Brandon has also suggested that there may be a book called Hoid which tells the story of the titular character in much clearer detail (though apparently the Dragonsteel sequence will reveal a lot more about the underlying mythology and unifying points of the various books and sub-settings). So far the Cosmere has been something that close readers have picked up on, but casual readers are probably totally ignorant of it. 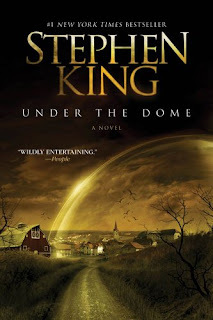 There are shades here of Stephen King's unified supernatural mythology: readers can read The Stand and Eyes of the Dragon with no real clue who Randall Flagg is, but then in The Dark Tower series more information is revealed about him and a grander masterplan can be discerned. This doesn't prevent the books being enjoyed individually but does reward readers who've been looking at things carefully. Hopefully, by 2035 or thereabouts (when no doubt ebooks will be inscribed directly into our brains with lasers or something), we can look back and see how successful Sanderson was in pulling off the project. But it's certainly an ambitious - even grandiose - idea and it will be fascinating to see it develop in the years to come. Every fifty thousand years a race of sentient alien starships, the Reapers, scour the Milky Way of organic life for unknown reasons. The time of their return is at hand and the races of the Galaxy are not ready. It took the combined firepower of several entire fleets to destroy the first Reaper scout, Sovereign. In the process the Citadel - seat of the Galactic Council - was so badly damaged that repairs will take five years to complete. The Council believes the threat is over, and discounts reports that an entire fleet of hundreds of Reaper ships is lurking beyond the Galactic Rim. Their scepticism grows when Commander Shepard, the only human to know the true extent of the threat, is apparently KIA. But, two years later, Shepard resurfaces, now working for the Cerberus organisation outside the authority of Earth or the Council. 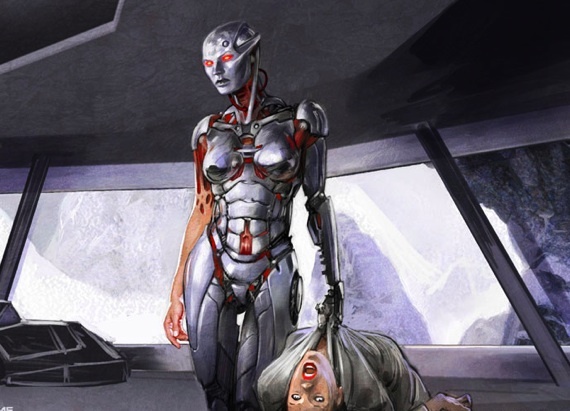 Shepard now has the resources to carry the fight to the Reapers and starts by attacking one of their servant species, the Collectors, who have been raiding human colonies in the lawless Terminus Systems. But Shepard's allegiance with a borderline terrorist organisation threatens to alienate his former allies and undermines his attempts to expose the scale of the Reaper threat. Mass Effect 2, released in 2010, is the middle volume of a computer roleplaying trilogy. Unlike a lot of such series, which are normally developed ad hoc based on the sales of the previous game, the Mass Effect series was always envisaged as a trilogy with events building from one game to the next and culminating in an epic finale (to be seen in Mass Effect 3, released next month) which pits the entire Galaxy against the invading Reapers on a massive scale. Mass Effect 2 is therefore something of a bridging game, with a surprisingly small scope compared to the events of the first or third games (these things are relative, however, as ME2 still features ferocious firefights in alien starships dozens of miles long). The game's structure sees Shepard working for Cerberus and its shadowy founder, the Illusive Man (voiced with gravitas by Martin Sheen), an alliance of former foes (Cerberus is a side-enemy in the original Mass Effect) against the dual threat of the Collectors and the Reapers. The bulk of the game is set on the new starship Normandy SR-2, with Shepard choosing what assignment to undertake next. Early assignments revolve around building up a team of allies to help in the battle. The cast of the original Mass Effect has been scattered across the Galaxy and most are unavailable to help out in the new fight (though two of them do sign up and the rest show up in cameos), so Shepard is mostly reduced to forming a new team of dubious reliability and melding them into a cohesive unit. This is done by undertaking 'loyalty missions' for each character. Whilst optional, winning each character's loyalty pays dividends for the final mission - where unreliable or disloyal characters might die, or cause others' deaths - and hugely extends the playing time of the game (doing all of these missions results in Mass Effect 2 clocking in at about 25 hours, or twice the length of the original). This structure relies on the characters being compelling. Fortunately, Mass Effect 2 is the work of BioWare, who have created some of the most memorable characters in RPG history (and one of their most famous, Minsc from Baldur's Gate, gets a couple of hilarious shout-outs in ME2). There is a sense of early disgruntlement that most of the characters you got to know over the dozen or so hours of the original Mass Effect have been jettisoned, but this is soon overtaken by an interest in the new cast. BioWare have gone to some lengths to give each character their own motivation, personality and goals, backed up by strong voice acting and some excellent writing. There's some geek-friendly casting, with the likes of Yvonne Strahovski (Chuck), Michael Hogan (Battlestar Galactica), Robin Sachs (Babylon 5/Buffy the Vampire Slayer), Keith Szarabjka (Angel) and Tricia Helfer (Battlestar Galactica) providing voices, but all do great work. Keythe Farley deserves a special mention for his exceptional voicing of Thane Krios, the spiritual assassin dying of a terminal wasting disease. Gameplay-wise, Mass Effect 2 is an evolution - critics might call it a devolution - of the mechanics in the original game. Just as the original game downplayed some traditional RPG elements (such as inventory management) in favour of shooting, Mass Effect 2 takes this even further. Character advancement through levelling is streamlined considerably, with the removal of the original game's extensive skill tree in favour of a smaller, more combat-focused levelling mechanic, whilst the inventory has simply been removed completely. Inventory-less RPGs have been made before (such as the splendid Freedom Force superhero games) but it's still disconcerting to see in action. However, more careful examination of the game reveals that many of the same tangible effects of the inventory management of the first game (upgrades to weapons, grenades, armour and abilities) still exist, but have been transferred to the new research/upgrade system. This system employs a research lab which has been installed on the Normandy. Once Shepard has recruited a scientist, he can start researching upgrades to existing weaponry, armour and abilities, or unlock new weapons altogether. He can also upgrade the Normandy's capabilities. Again, this seems optional but it plays a major role in the game's finale (extending to some characters dying if the ship hasn't reached its maximum potential). Researching doesn't come for free and resources must be gathered from planets to fund it. This leads to a side mini-game where the Normandy orbits planets and scans them for resources, launching mining probes to recover them. This system can be slightly annoying (spending significant amounts of time mining when there's Collectors to be killed can be frustrating) but it's a much more intelligent use of resources than the original game (where they existed solely as an optional mission objective to make you look good). To the meat of the game, which is the in-mission view. There are two types of mission, 'hub' missions set on planets or space stations mostly inhabited by friendlies where Shepard has to resolve issues, typically through roleplaying. The game's intelligent dialogue system (slightly refined from the original game, with the addition of Paragon/Renegade actions you can undertake in addition to the simple speaking of dialogue) comes into its own here, with Shepard using diplomacy, threats or a mixture of the two to get a favourable outcome. However, far more commonplace are combat missions where Shepard and two allies have to fight their way through various enemies to achieve a mission objective. Combat is similar to the first game, in that it emphasis cover and directly shooting enemies rather than any kind of turn-based or pause-based combat, though you can still pause the game and bring up a tactical command menu, giving orders to your troops or employing special abilities yourself. It's been refined, with a more intelligent cover system (less sticking to a wall you just happen to brush up against) and the addition of area-based damage, such as headshots. Those looking for a more RPG style of combat may be disappointed by the directness of the battles, but at the same time those used to pure shooters like the Gears of War series may find the addition of dialogue options and a great degree of player freedom and choice to be liberating. BioWare are conflating the two genres here and doing so well, but RPG fans may feel that the game is a little imbalanced towards the shooter genre. Those who like both genres (like myself) will feel more at home with the game. Overall, Mass Effect 2 is a very strong game which emphasises player choice in the fields of characterisation and story development. What you, as Shepard, say or do in the game has enormous consequences, potentially leading to most of your crew being wiped out. Decisions also have important ramifications in Mass Effect 3, which may give players pause (for example, deciding the fate of a cure to the krogan plague or whether to pit the geth and Quarians into full-scale war has little impact in Mass Effect 2 itself, but will be major plot points in the final game). Complaints that the game is a dumbed-down RPG due to a streamlining of the gameplay systems are understandable, but the game also makes great strides forward in characterisation and the impact of player choice on personal interrelationships. This is a fascinating development in the way games handle characters and how relationships between them work, and shows how games can handle these factors in a way that films and novels cannot, an important evolution in the medium. Of course, those less interested in the title's place in gaming history can ignore all of that and get on with saving the Galaxy by laying waste to everything in sight with overwhelming firepower. Mass Effect 2 (****½) is a very good game, with some excellent writing, memorable characters and strong combat sequences. The reducing of RPG elements in favour of shooter ones may offend RPG purists, but overall BioWare handle the merging of the two genres successfully. The game is available now in the UK (PC, X-Box 360, PlayStation 3) and USA (PC, X-Box 360, PlayStation 3). Mass Effect 3 is released on 6 March 2012 in the USA and three days later in the rest of the world. Surprisingly, news broke today that the final Wheel of Time book, A Memory of Light, is being delayed until 8 January 2013. This is two months later than the previously-mooted release date of 1 November 2012, which is not a major delay as these things go. 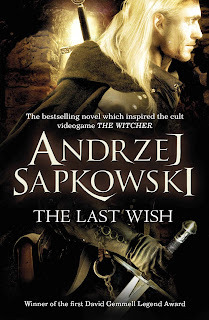 However, previous information from Brandon Sanderson (who has completed his first draft and is ploughing through a second) indicated that, if anything, there was a chance of the release date being brought forward, perhaps as soon as this August. As Sanderson explains in this blog post, that possibility died a death when the novel came in 40,000 words over-length (the finished novel is currently estimated at being 360,000 words in length, making it one of the longest books in the series, though still behind the huge fourth and sixth novels), extending the amount of lead-time needed for production and editing. However, even he says that he thought the November date was a lock and the delay to January a surprise. The delay is probably unavoidable - Tor would not miss the lucrative Christmas hardcover market for anything that could be easily resolved - but again, in the long run, it's a very minor delay for the final book in one of the most popular fantasy series out there. I've been having problems with the 'Author Review' index on the right hand side of the page for a while now. Basically, I maxed it out as it suddenly stopped me adding any more books to the list. As a result I deleted the list and created a new one listing authors by their tag entries, which makes for a more concise list but also still allows people to find the reviews. Unfortunately, Blogger has seen fit to somehow merge the old, deleted list and the new one together, creating an unwieldy monster of a list which I now cannot edit at all. Apologies for this. I'm trying to rectify the problem. An interesting comment by Game of Thrones co-producer Vince Gerardis: the Battle of the Blackwater will last 16 minutes of the penultimate episode of Season 2. This is an interesting figure. The Battle of Philippi, the largest previous attempt by HBO to depict a massive battle sequence on a regular series (on Rome), lasted for nine and a half minutes. The opening D-Day sequence in Saving Private Ryan lasted about fifteen minutes. The opening battle in Gladiator lasted just under ten minutes. The battle for control of Babylon 5 in the Severed Dreams episode of that series lasted six minutes. Sixteen minutes - more than a quarter of the episode - is an impressive amount. I wouldn't be expecting anything on the lines of a major movie action sequence, but it'll be interesting to see if HBO are opening the purse strings a little more this season (not they didn't have a big budget last year, but they certainly weren't getting the most bang for their buck). The episode in question - Blackwater - is written by George R.R. Martin and directed by Neil Marshall (The Descent, Centurion) and should air (barring delays) on 27 May in the USA and 28 May in the UK. In the same interview, Gerardis also says that HBO are holding the three (soon to be four) Dunk 'n' Egg prequel novellas in reserve for another two years or so. This suggests that HBO have a gameplan for using the novellas to flesh out their Game of Thrones content. 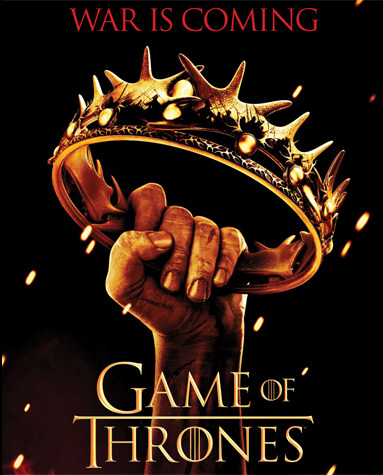 Pure speculation, but it's possible they are thinking of using them as a spin-off series (Dunk and Egg wandering the Seven Kingdoms is actually a solid premise for an ongoing TV series), for between-season straight-to-DVD movies, or as stopgaps if they have to delay the main series for whatever reason (akin to what Starz did with the Spartacus: Gods of the Arena mini-series when the main series had to be delayed for a year). Amendment: According to Westeros.org, Gerardis's comments were mistranslated (the interview was originally in Portuguese). Gerardis stated that the battle took up a sizable portion of the episode and is 'fantastic' but is still being produced with TV budgetary and time constraints and wishes they could have done more. He also stated that the prequel novellas are being looked at and hopefully in a couple of years HBO will be able to do something with them, but for the moment are concentrating on the main series. 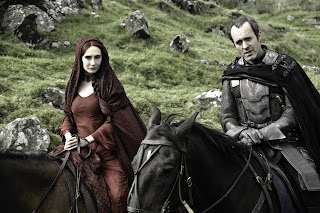 Melisandre (Carice van Houten) and Stannis Baratheon (Stephen Dillane). 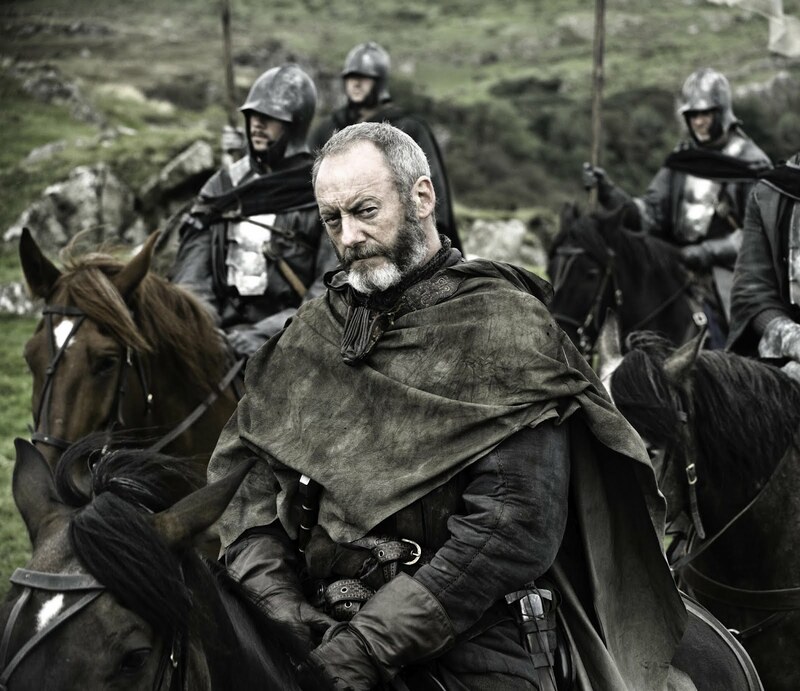 Ser Davos Seaworth (Liam Cunningham). 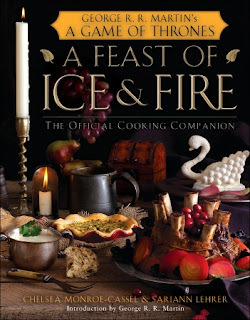 The World of Ice and Fire, a companion book to the Song of Ice and Fire novels, will have its release date announced in the near future. 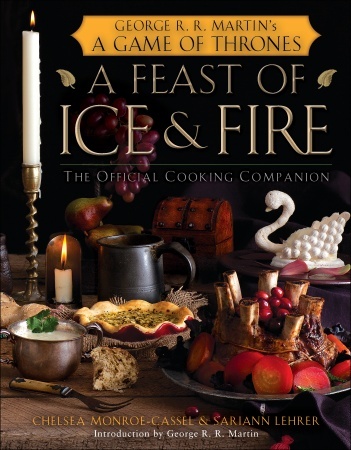 The companion volume, co-written by Martin and the admins of the Westeros.org website, will feature new artwork and never-before-seen maps, as well as a wealth of new background information. Note: information changed at the request of the publisher. 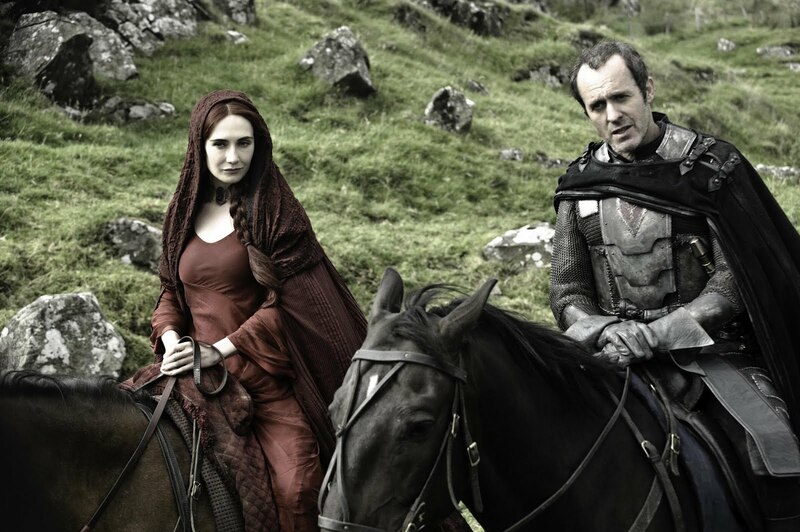 Meanwhile, HBO have released a plethora of new publicity images for Season 2 of Game of Thrones. These can be seen on the Winter is Coming website here. 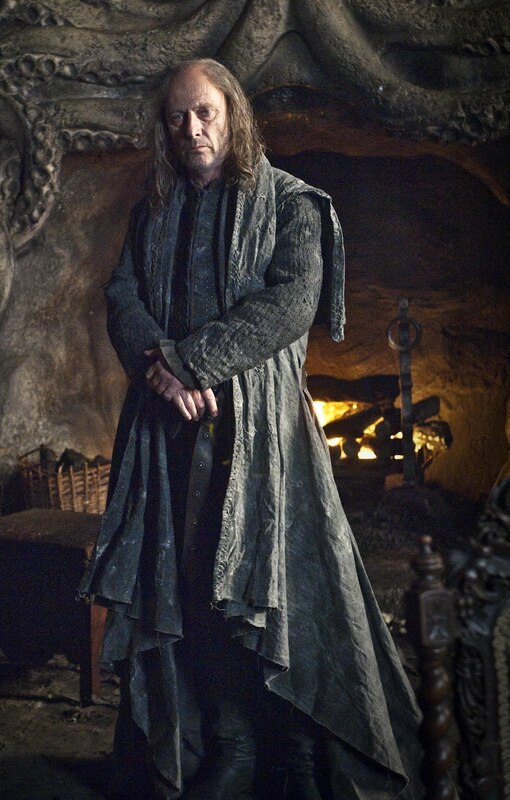 Lord Balon Greyjoy (Patrick Malahide). 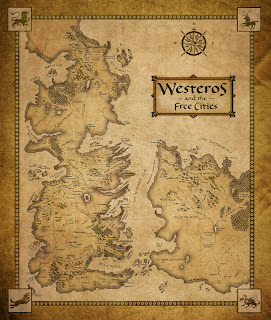 There's also a nice new map of Westeros and Essos doing the rounds. This map is the version that can be seen on the new enhanced and annotated ebook version of A Game of Thrones. 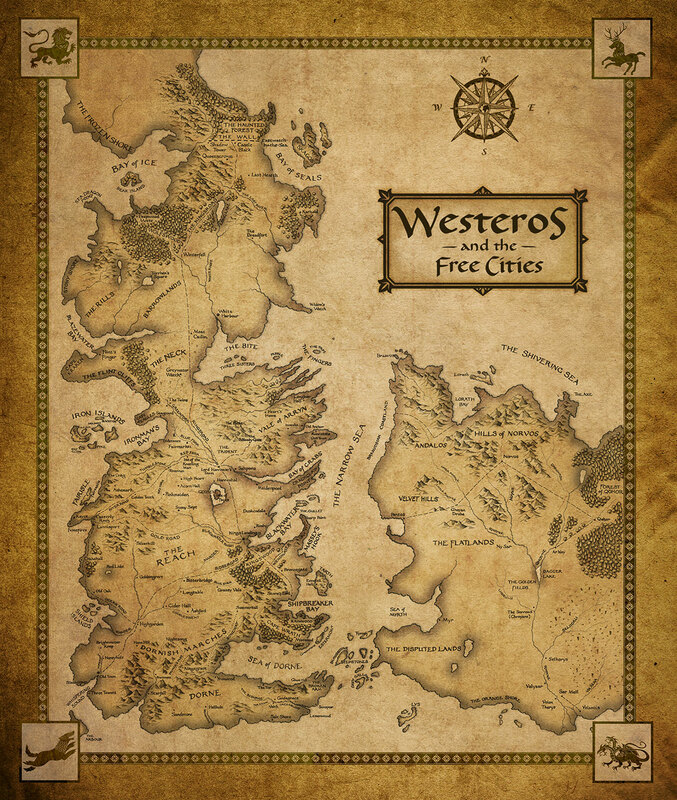 This map is notable as the first official map which shows all of Westeros combined with the map of the Free Cities region seen in A Dance with Dragons (rather than fan attempts to do the same). Intriguingly, a 'world map' showcasing even more of Essos (including, I'd imagine, at least Slaver's Bay if not Qarth and even Asshai) will - apparently - appear in The World of Ice and Fire. Warning: the 77 course option is not recommended to those who don't want to die instantly from cardiac failure. The mod is for Medieval II: Total War and its Kingdoms expansion, and will be released when it's done. More information (previews, screenshots etc) here. 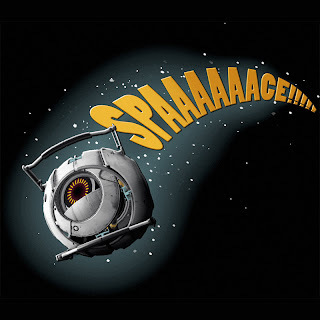 Whilst playing Skyrim, it has often occurred to me that what the game really lacked was that space core from the end of Portal 2 floating around like ten feet behind you occasionally bellowing, "SPAAAACE!" in its unique style. "I'm in space. And by 'space' I mean 'Tamriel'." 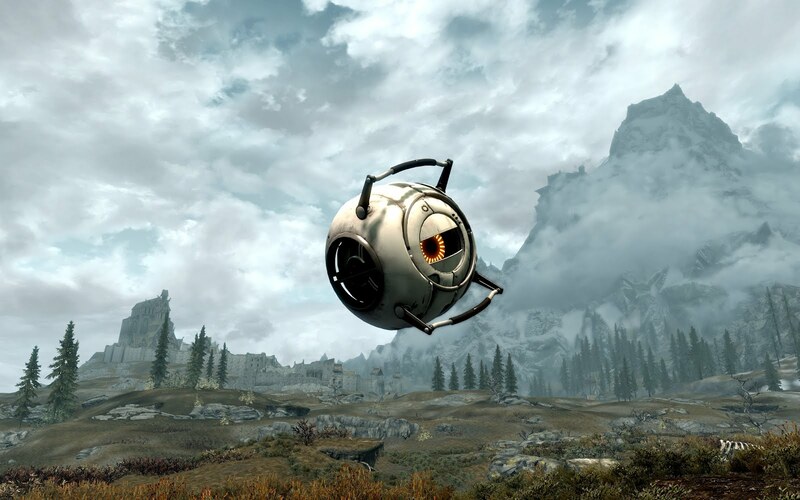 Of course, Valve and Bethesda have recognised this glaring deficiency in the game, and created a mod that allows the space core from the end of Portal 2 to float around behind you and etc. The same update also adds high-resolution texture packs to make the PC version of the game look totally awesome(r) and activates the Creation Kit, which allows you to adjust and tweak all aspects of the game, but frankly this is just small fry compared to the space core thing. So, does this mean that it is now canon that the Half-Life/Portal and Elder Scrolls franchises take place in the same universe? Will we see headcrabs and Combine invade Tamriel in The Elder Scrolls VI? Will Dragonborn and Mammoths show up in Half-Life 3? No. Don't even go there.